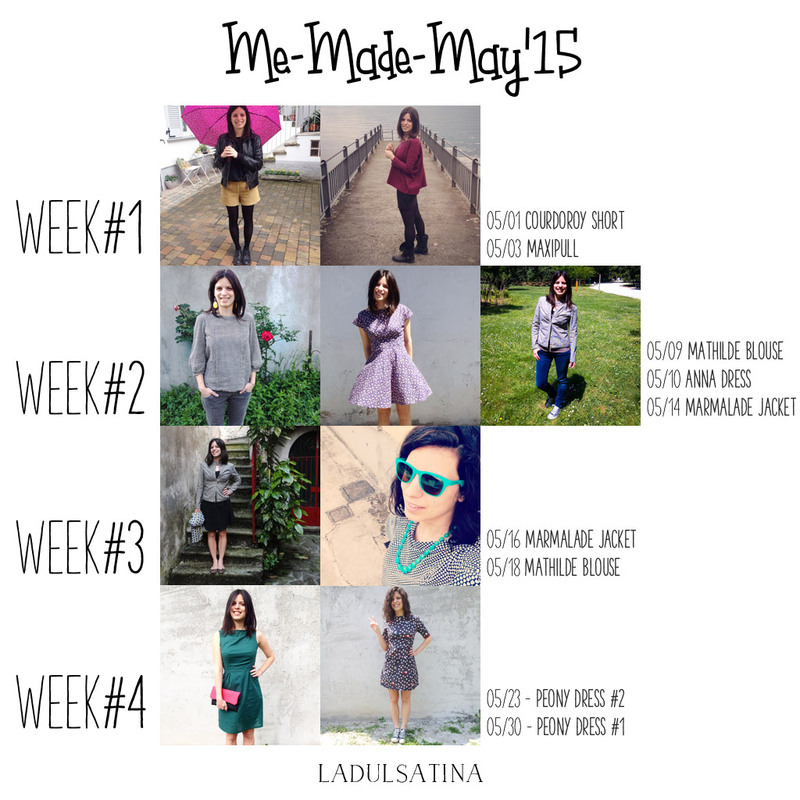 For those who have not read the previous post, May was the MeMadeMay’s month. MeMadeMay, a challenge created by Zoe five years ago, encourages people to wear their own handmade/homemade garments and accessories more than they usually do…practically it encourages you to love what you make and to be proud of it. The challenge consists in wearing a garment a day, but actually you can choose your own personal pledge. Given that I started to sew last summer, I haven’t got so many memade dresses in my wardrobe. Therefore I challenged myself with a dress a week (I wanted to easily win! ;)). Actually I’ve matched my handmade garments with my old buys and I’ve worn them in different occasions over the 4 weeks, so I managed to wear my memade garments more than I thought at the beginning. I liked this challange very much! It’s helped me to be more proud of what I made, to talk more about it with friends (tell your friends that the dress you’re wearing is made by yourself is nice and fun), to understand how to match my new creations to my old garments and to find the “holes” in my wardrobe (and so the next sewing projects!). And above all it’s helped me to understand that I have to select my sewing projects carefully in order to create daily outfit. And you? What rapport do you have with your creations? Do you wear them every day? Or do you create them for special occasions? 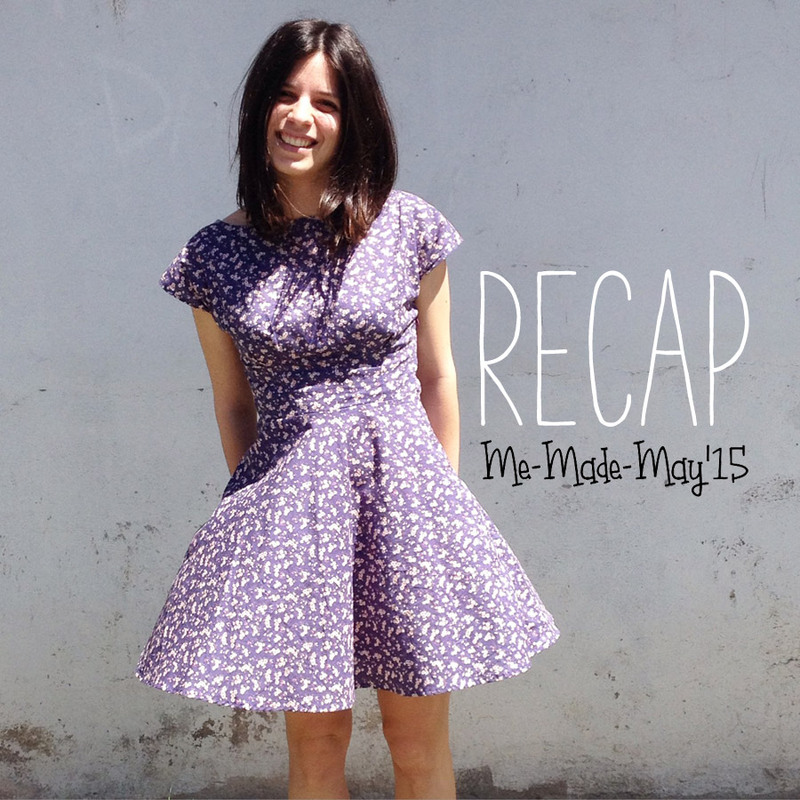 And for those who have taken part in MeMadeMay ’15… How did your challenge go?